In-vitro fertilization (IVF) is a multi-step process that takes several weeks to complete. Once an IVF cycle has ended, the most anticipated part begins: finding out if you are pregnant. Before recommending this treatment, our experts will take all the time needed to explain factors that affect IVF results. Contact our San Antonio, TX, practice to schedule your consultation today. Each hopeful parent undergoes an in-depth consultation with one of our doctors to determine the best fertility treatment approach. Maternal age - Younger women are more likely to become pregnant and deliver a healthy baby with their own eggs during an IVF cycle. 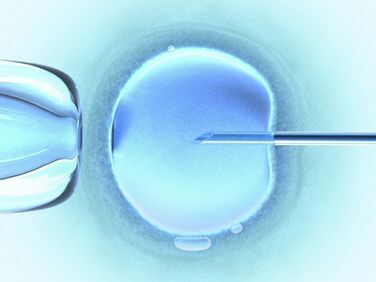 It is recommended that some women age 40 and older consider undergoing IVF with donor eggs to increase the chances of success. Each hopeful parent undergoes an in-depth consultation with one of our doctors to determine the best fertility treatment approach. Reproductive history - Women who have previously given birth are more likely to achieve pregnancy with IVF than women who have never given birth. Success rates are lower for women who previously underwent IVF multiple times but did not achieve pregnancy. Stage of embryo development at the time of transfer - The transfer of more developed embryos is associated with higher pregnancy rates, compared with less developed embryos (those transferred within two or three days). Cause of infertility - There are a number of reasons why a woman or couple may be struggling with infertility. In any case, a normal supply of eggs increases the chances of becoming pregnant through IVF. In fact, women who have unexplained infertility issues are more likely to become pregnant than women with endometriosis. Lifestyle factors - Smoking, obesity, recreational drug use, alcohol, and excessive caffeine can all undermine a woman’s ability to conceive and give birth through IVF. Smoking can lower a woman's chance of IVF success by as much as 50 percent. About 10 days to two weeks after egg retrieval, your doctor will take a blood sample to determine if you are pregnant. If you are pregnant, your doctor will refer you to an obstetrician or other pregnancy specialist to begin prenatal care. If you not pregnant, you will stop taking progesterone. Most likely, your period will return within a week. If your period does not return, or you have unusual bleeding, contact your physician. Many women will want to attempt becoming pregnant again with another cycle of IVF. In the past, it was believed that women should wait several months between IVF cycles. Today, most women wait a matter of weeks for inflammation to resolve before initiating the process again. During this waiting period, you doctor may develop a different approach to your treatment in order to improve your chances of becoming pregnant. The Fertility Center of San Antonio can help you realize your dream of parenthood through IVF and other fertility treatments. Contact our offices today to learn more about the IVF process, or to schedule your consultation today.